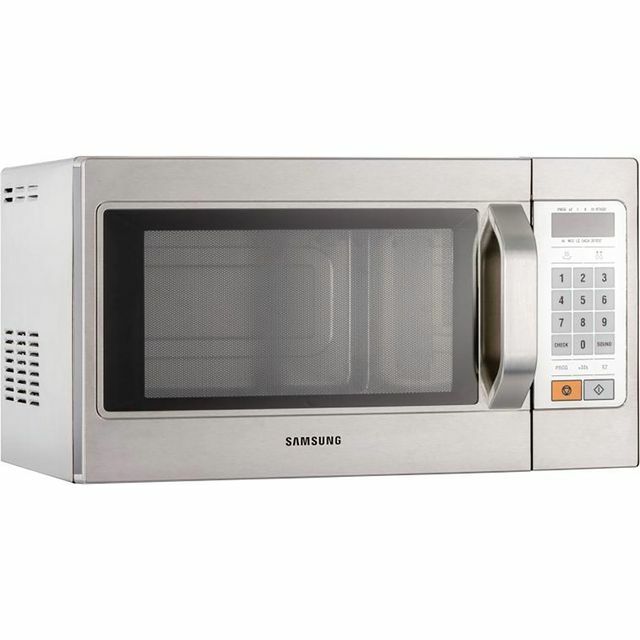 This superb Samsung commercial microwave oven would be a reliable choice for any café or small restaurant. It has a 26 litre capacity, which gives you ample space to prepare a variety of dishes. An impressive 1100 Watt power output means you’ll never be waiting long for your food either. With 20 different automatic programmes to choose from, it’s quick and easy to defrost desserts, reheat pizza or melt chocolate at the touch of a button. For added peace of mind, this model also comes with a 3 year manufacturer warranty.